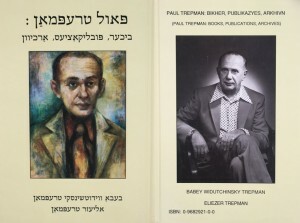 Paul Trepman was born in Warsaw, Poland. 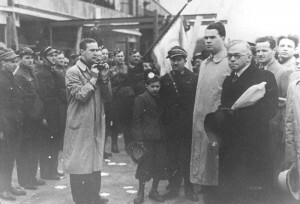 During the war, he was a member of the Polish underground and survived 7 German concentration camps. After the war, he coedited Unzer Sztyme (“Our Voice” – the first Yiddish newspaper in the British zone of Germany) and Vochnblatt (“Weekly”) and served in the leadership of the Central Committee of the Jews in the British Zone of Germany. 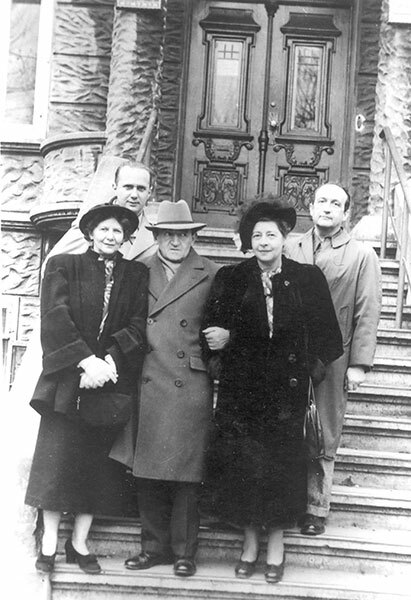 After emigration to Canada, he taught Yiddish and Hebrew studies at Jewish Peoples’ Schools, directed Unzer Camp-Kindervelt, served as the Executive Director of the Jewish Public Library, and was a frequent contributor to the Yiddish newspaper Keneder Odler (“Canadian Eagle”). 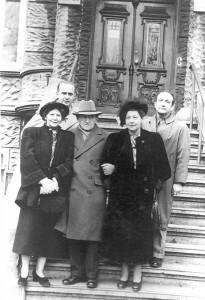 This book is a useful sourcebook for researchers and others who are interested in the Holocaust, the postwar Rebirth in Germany, genealogy, and the Montreal Jewish community. To receive your copy of this superb volume, or to donate a copy to your favorite university or Jewish library, click here. ©2015-2019 Elly Trepman. All rights reserved.